Office furniture liquidators in the Tampa, Florida, area, can move your furnishings for you while ensuring you get fairly compensated for the items. 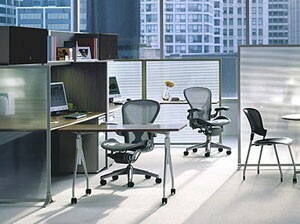 Before hiring a company to liquidate your unwanted office furniture though, it’s imperative you do your research. Not every company has the ability to move your furniture as quickly as you need, which can slow down your moving or office renovation process. When you hire us to liquidate your office furniture or for any other services we offer, you can expect us to be professional, polite, and handle the project for you no matter the size. To learn more about hiring us to be your office furniture liquidators in the Tampa, FL, area, contact Reusable Office Interiors today. One of our friendly associates is available to answer any questions you have.